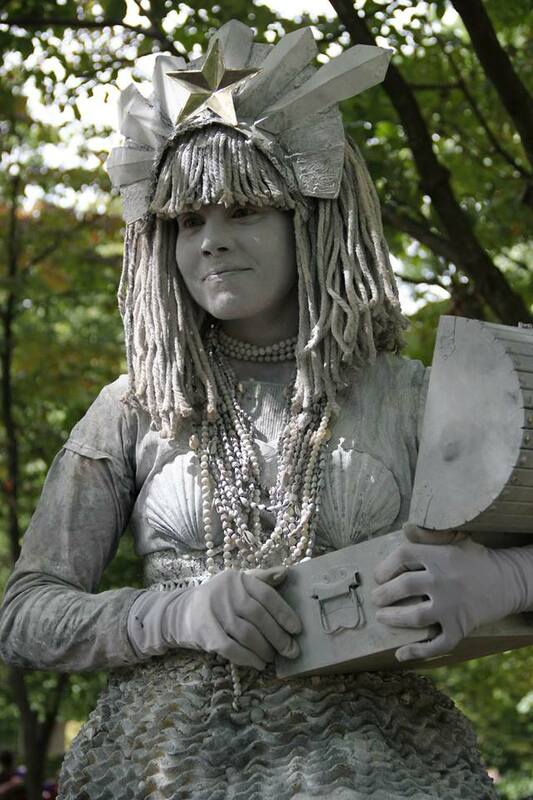 The Mermaid Statue is a living work of art carved and performed by The Stringpullers. 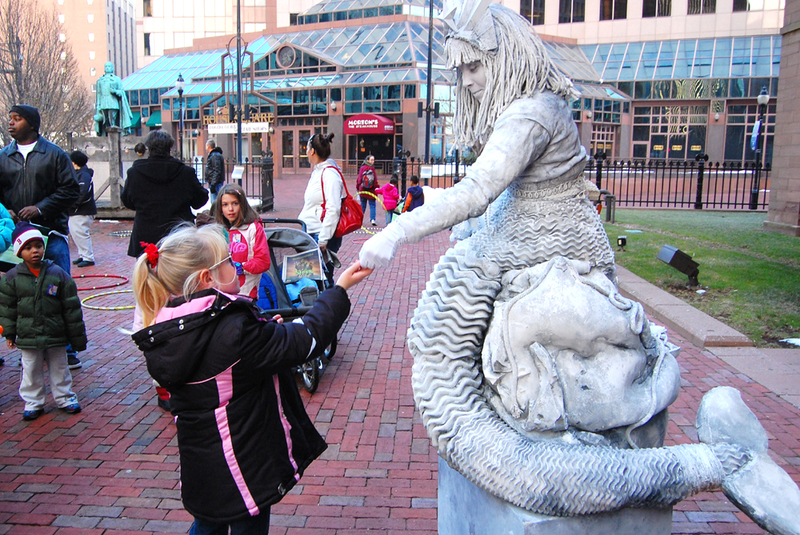 A stationary spectacle, The Mermaid awaits, rewarding the curious and daring with treasure. 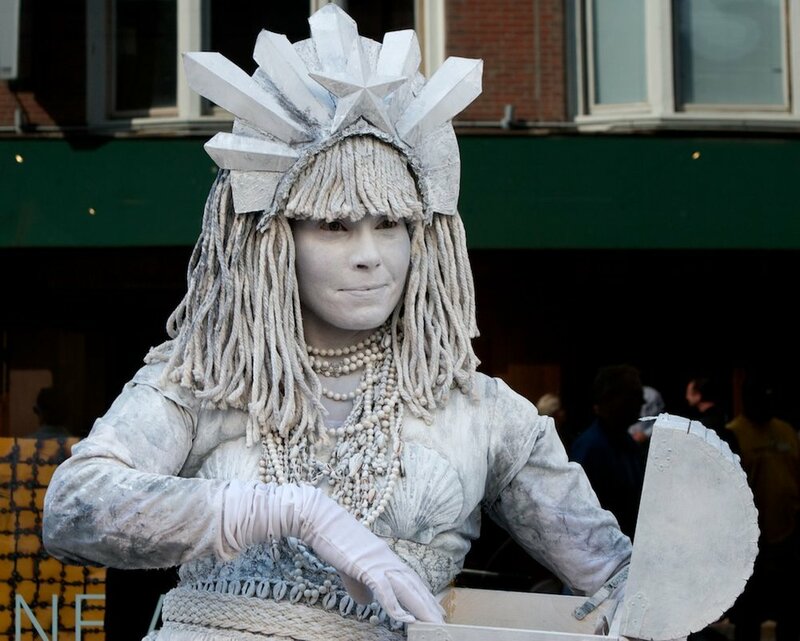 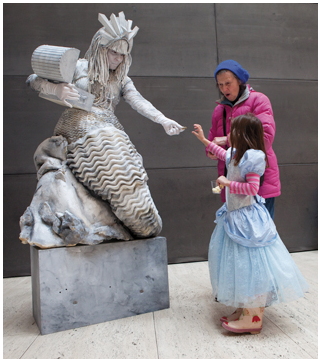 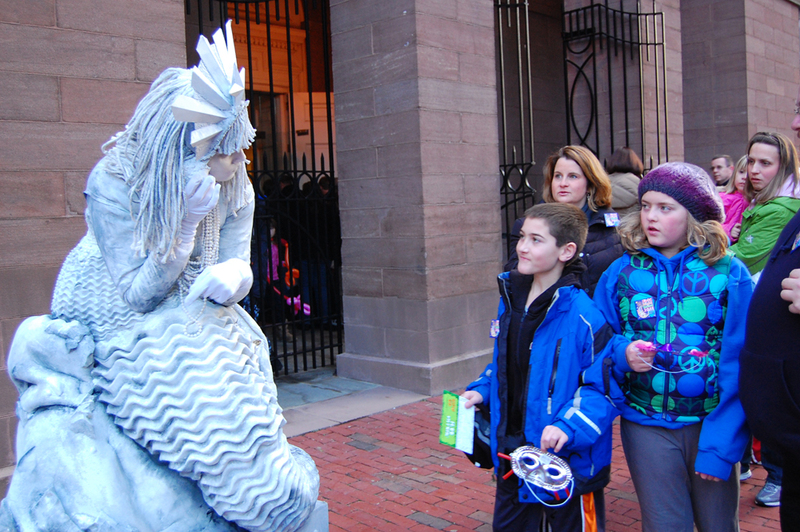 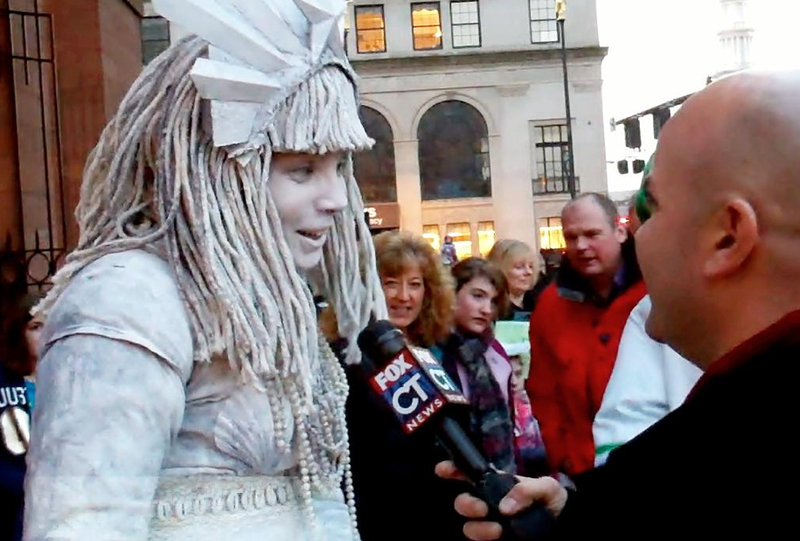 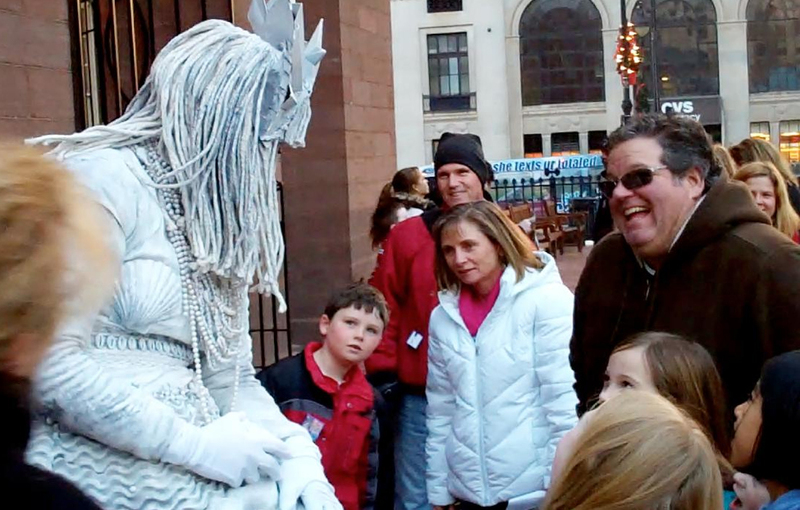 Not just a living statue, she's an engaging silent encounter. 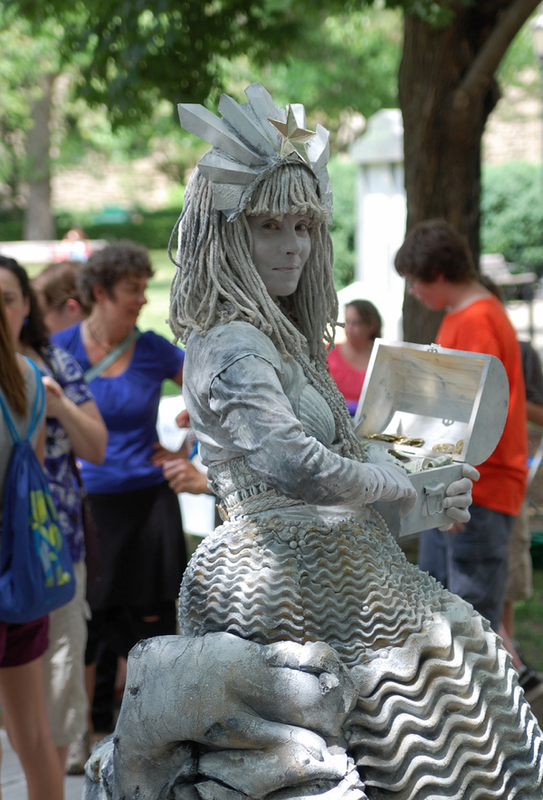 The Mermaid has been installed at Hartford First Night, the Yale Center for British Art, Mystic Aquarium, the Connecticut Science Center, Ocean Beach Park, and is a regular favorite at the Hamburg Fair, Torrington Main Street Market, and the Ithaca Festival. 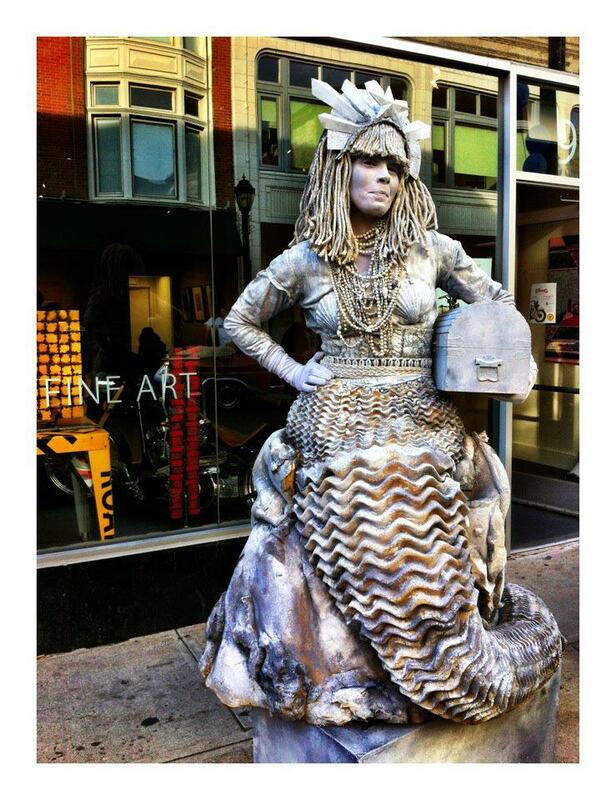 For booking inquiries email Linda at linda.wingerter@gmail.com.